Allow us to handle your upcoming removal for you! By using our man and van services you won’t just benefit from high quality moving services by you will spare yourself some time which you can spend in a more pleasant manner such as going to the movies or hanging out with your family and friends. We founded our removal company in the area of Wormwood Scrubs years ago because we knew that the place was the ideal scene for us to display our amazing skills. Over time we have established ourselves as one of the leading moving companies not only in Wormwood Scrubs but in the surrounding areas as well. As pompous as its sounds our removal services have become a benchmark for quality and this is something that makes us very, very proud because it means that our clients are more than satisfied with our relocation and man and van services. We work with a flexible schedule because we want to be able to help as many people as possible with their property relocations. So, don’t be timid to contact us on a short notice or to demand us to handle your move during the late hours of the day because we will find a way to accommodate your needs and meet your requests. Keep in mind that to date we have never missed a deadline because we are dedicate professionals who won’t hesitate to go to the next level and more importantly because we have the required removal instruments to speed up and ease even the most complex moving jobs. Your fragile high-value goods will be in good hands with the trained industry certified specialists here at Get Removals. In preparation for your removal in Wormwood Scrubs, we are going to inspect all valuables that you need to get transported and pack them following all the highest standards of the business. As you know, full Goods in Transit liability insurance will be added to your quote, just as a safety net, since we have a zero-percent accident ratio we intend to keep. A fact that very few people seem to know is that Wormwood Scrubs was the place where the famous Queen’s Park Rangers football club used to play their home matches in the games between 1893 and 1896. There are three tube stations that you can easily access from Wormwood Scrubs. Those include East Acton tube station, North Acton tube station and White City tube station respectively. 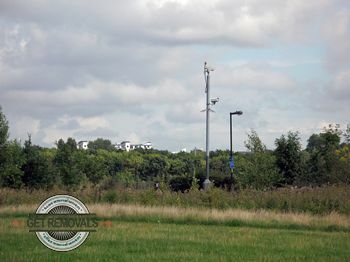 Our company operates through the London district of Wormwood Scrubs in the Borough of Hammersmith and Fulham. Shortly known as the Scrubs, the area is ranked as a residential suburb. It is named after a local green areas which is identified as one of the biggest and most visited in the English capital. The open space covers an area of 200 acres of lush green lands and is identified as a Local Nature Reserve by the English government. The area isn’t served by its own tube or railway station. Instead the local inhabitants must use one of the three stations that are located in the neighboring areas.